HSSC Result 2019: Below are the latest results published by HSSC - Haryana Staff Selection Commission (HSSC) / www.hssc.gov.in. The recent result announced by the organization is WildLife Guard Result 2019. 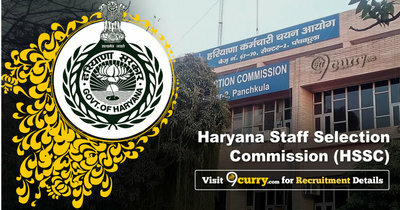 HSSC WildLife Guard Result 2019: Haryana Staff Selection Commission (HSSC) has announced the Result on 19 Apr 2019 for the exam . HSSC Forester of Forest and Wild Life Department Result 2019: Haryana Staff Selection Commission (HSSC) has announced the Result on 18 Apr 2019 for HSSC Forester of Forest and Wild Life Department Exam 2015 . HSSC MPHW (Female) Result 2019: Haryana Staff Selection Commission (HSSC) has announced the Result on 05 Apr 2019 for the exam . HSSC PGT Hindi (Rest of Haryana) Result 2019: Haryana Staff Selection Commission (HSSC) has announced the Result on 31 Mar 2019 for the exam . HSSC Female Constable (GD) Result 2019: Haryana Staff Selection Commission (HSSC) has announced the Result on 31 Mar 2019 for the exam . HSSC Male Constable (GD) Result 2019: Haryana Staff Selection Commission (HSSC) has announced the Result on 31 Mar 2019 for the exam . HSSC Shift Attendent 2016 Final Attendant Result 2019: Haryana Staff Selection Commission (HSSC) has announced the Result on 09 Mar 2019 for the exam . HSSC Constable (GD) IRB Final Result 2019: Haryana Staff Selection Commission (HSSC) has announced the Result on 04 Mar 2019 for the exam . HSSC Auction Recorder Result 2019: Haryana Staff Selection Commission (HSSC) has announced the Result on 14 Feb 2019 for HSSC Auction Recorder Exam 2018 . HSSC Male Constable (GD) PST Result 2019: Haryana Staff Selection Commission (HSSC) has announced the Result on 11 Feb 2019 for the exam . HSSC TGT Urdu (Rest of Haryana) Result 2019: Haryana Staff Selection Commission (HSSC) has announced the Result on 06 Feb 2019 for the exam . HSSC TGT Home Science (Mewat) Result 2019: Haryana Staff Selection Commission (HSSC) has announced the Result on 06 Feb 2019 for the exam . HSSC Male Constable (GD) Result 2019: Haryana Staff Selection Commission (HSSC) has announced the Result on 02 Feb 2019 for the exam . HSSC TGT Home Science (ROH) 2015 Result 2019: Haryana Staff Selection Commission (HSSC) has announced the Result on 24 Jan 2019 for the exam . HSSC PGT Geography (Rest of Haryana) Result 2019: Haryana Staff Selection Commission (HSSC) has announced the Result on 24 Jan 2019 for HSSC PGT Geography (Rest of Haryana) Exam 2018 . HSSC Group D 2018 Final Result 2019: Haryana Staff Selection Commission (HSSC) has announced the Result on 20 Jan 2019 for the exam. HSSC PGT Mathematics (Rest of Haryana) 2015 Result: Haryana Staff Selection Commission (HSSC) has announced the Result on 13 Jan 2019 for the exam .